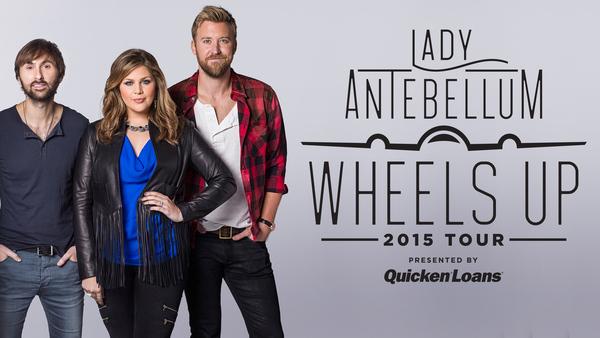 Lady Antebellum will be headlining the Wheels Up Tour this summer and they’ll bring two of the most talented young artists in country music with them. Hunter Hayes grabs the second slot on the tour, while Sam Hunt will kick things off each night. This will be Hunt’s first gig on a major amphitheater tour. As for Hayes he takes this opportunity to move away from the headlining spot and offer his fans a shorter, more specified set. The tour will stop twice in the Northeast, first at the Xfinity Center in Mansfield, MA and then later in the summer at the Xfinity Theatre in Hartford, CT. Both events will be a part of each venue’s Megaticket which will begin being sold the week of January 26. The tour will run from May 1 until the middle of September and make its way across the United States and much of Canada. Complete tour dates here.